Greenlee is proud to introduce fully upgraded versions of its tone generator and probe tracing kits. This all-new line of products offer superior tracing for low-Voltage applications such as telephone, data, and security alarm wiring. 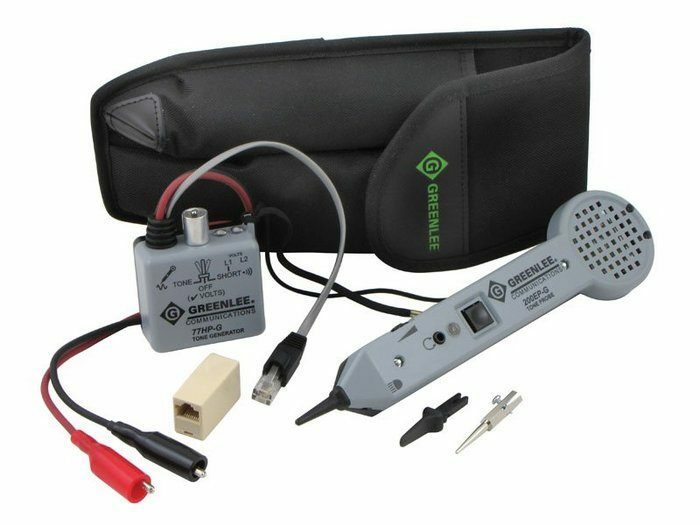 Essential equipment for the internal wiring technician, the Greenlee tone and probe kits provide the ability to check Voltage on wire pairs as well as generate a tagging tone along the wire, which is then picked up by the tracing probe. Featuring overall improved internal circuitry in both the amplifier and the tone generator, all of the new tone probe kits promise to provide an enhanced customer experience for tracing and identifying single conductors or cables within bundles, either at midpoint or at remote ends. All of the new tone and probe kits are assembled in the USA and are CE certified. When it comes to superior tracing capability, Greenlee's new tone and probe kits are faster, safer, and easier than ever before. This product can expose you to chemicals including Butadiene, which is known to the State of California to cause cancer and birth defects or other reproductive harm.